UAE filmmaker Khalid Al Abdullah didn't have to think long to decide on the nationality of his protagonist for his short film Ice Cream. He was convinced the tale which focuses on a young boy who can't afford an ice cream, would be best told if it came from a kandora-clad Emirati. "Most Westerners have this idea that everyone who is wearing a kandora has a Bentley. But Ice Cream shatters that misconception," said Al Abdullah of his 10-minute film. "It shows [the] reality that we are living in today. When I first wrote the script, I thought an Indian guy would be more convincing. But then I realised that it's [the] Gulf Film Festival and it makes more sense if I focus on what's happening in the Emirates." He's not alone. In the fifth edition of the Gulf Film Festival (GFF), a sizeable contingent of Emirati filmmakers are using the platform to push cinematic boundaries. Both steeped in traditions and determined to take strides forward, Emirati filmmakers are eager to be a part of the regional film movement. Twenty-two-year-old Mohammad Fikri, who will showcase his 10-minute animation feature, Children, chose animation because of the freedom it gave him. "I have to respect my religion. Getting a man and a woman involved in the same scene is against my religion. In animation, you can do all that — distort, deform or show a scene of a man and woman touching even if they are not related. I understand that and I am happy to work around it," said Fikri. The Gulf Film Festival offers him an incredible learning experience, he says. "In other parts of the world, we will have to pay to get the kind of exposure from workshops that Gulf Film Festival provides. You meet like-minded people here. 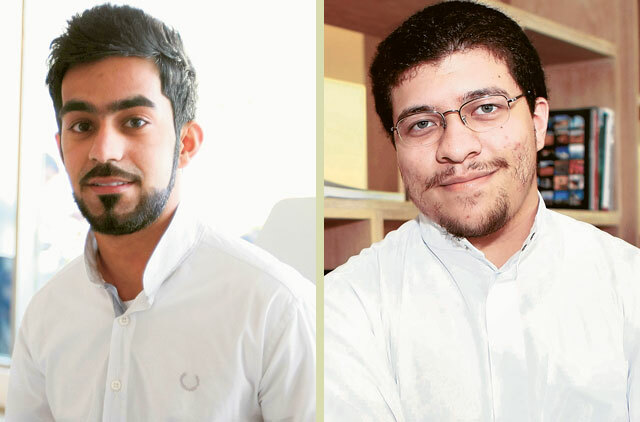 So to me, the Gulf Film Festival is not just about showcasing my film but also about meeting people from my industry," said Fikri, a student of SAE Institute Dubai. Twenty-year-old Fatima Abdullah Al Nayeh, who makes her debut this GFF with her short film Rithath Al Hayat (Life Spray), dubs GFF a perfect showcase to tell their own stories. "I heard about the Gulf Film Festival from one of my teachers who asked us to apply. I am so excited and can't wait to see the film. Even if I win or don't win, such a festival helps us to see our mistakes and learn from that experience. It's a stepping stone for all of us," said Fatima. But not all participating Emirati talents are as altruistic. Emirati filmmaker Ahmad Zain says the Official Gulf Shorts competition, in which his intense drama Laban Muthalaj (Frozen Yoghurt) is participating, has just become too fierce. "This year there are 47 short films competing and just six awards to be given out. That's not good or fair. If it's called a Gulf Film Festival, then ideally we should not have this category of international or foreign films competing for prizes. Let them screen it outside of competition — that's fine, it's the Gulf Film Festival and not an international film festival. This is our opportunity to showcase our films. Why are the foreign films competing here?" lamented Zain, who has directed films including Mother, Bad End and Speed. The festival director Masoud Amr Allah Al Ali, says the festival's Emirati entries have strengthened since GFF began five years ago. "This year, Gulf Film Festival has 42 Emirati films and, significantly enough, 31 of these films are making their world premiere. Compared with 2008, when we launched GFF, there were 35 Emirati films in all, several of them by students. "Over the years, we have seen Emirati students, who cut their teeth in cinema through GFF with their university productions, evolve as independent directors," he said. "These numbers are a true testament to how GFF has been fostering Emirati cinema over the years, giving our filmmakers a platform to express their creativity and in turn emerge as the filmmakers of the future." Meanwhile, filmmakers who may not necessarily hold UAE passports but consider themselves natives of the UAE are also eager to spin tales relating to the place they grew up in. UAE-bred Mustafa Zakaria, of Egyptian origin, is one such GFF candidate. "My short film The Pillars is set in an unnamed city in the UAE and is chaptered according to the five pillars of Islam. It's a story about a man and a woman who have been recently divorced, coping with the changes in their lives," said Zakaria, who considers the UAE his home. A part of the growing film scene in the UAE, Zakaria believes GFF is just the starting point. "A film festival shows that the country is appreciating films — that's a good sign. However, [a] festival is one thing and an industry is another. Just to give you an analogy: there is a huge difference between a country that hosts beautiful classic, vintage car shows and a country that has an automobile industry. At the end of the day, the Gulf Film Festival is an event, not an industry. So our challenge lies in going beyond festivals," said Zakaria. And his list of challenges includes fighting the stigma attached to filmmaking as just a "good hobby", garnering mass support and securing funds. "More than the difficulty in securing funds, I think battling the stigma attached to filmmaking is our biggest hurdle. I want our society to consider that filmmaking is a craft just like any other business, like printing or publishing." However, he is certain of one thing: the week-long GFF is all about cinema. "I have attended the Gulf Film Festival since its inception and I like the Gulf Film Festival because it's quirky. You have people who are just passionate about films meeting up. There are no red carpets and gala parties to lure the people in. So those who are there are in it for their love for cinema." Film fund support groups that bolster the UAE filmmaking community such as Creative Lab, the branch of the Abu Dhabi-based company twofour54, can open doors for Arab talent. Out of their five funded projects that will be shown at GFF this year, three belong to Emirati filmmakers. "GFF is a perfect opportunity to get people to know them. Maybe from there, they will find someone to produce their future projects. That's the goal," said Jessy Chalfoun, Associate Manager of Creative Lab.